Oil prices rise, but for how long? 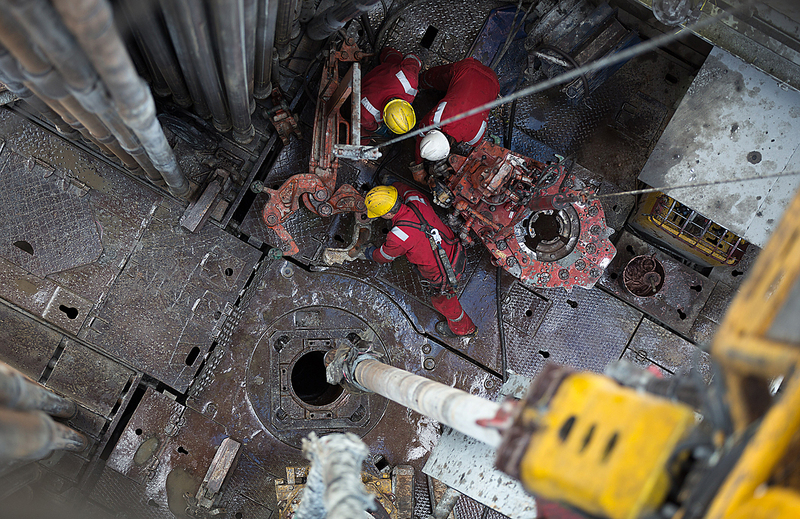 Oil workers use machinery to move drill sections on the drilling floor of a derrick operated by Salym Petroleum in Salym, Khanty-Mansi autonomous region, Russia. Russia says it is ready to coordinate with OPEC on its decision to freeze production, but an increase in prices could cause U.S. shale producers to increase drilling. During an informal meeting in Algiers on Sept. 28, OPEC member country ministers were able to agree on an oil production cap for the first time since 2008. The organization agreed on a production limit of 32.5 million barrels per day — one million barrels less than the July-August indicators. The following day, Russian Energy Minister Alexander Novak told journalists that Russia is ready to cooperate with OPEC and other oil-producing countries on production limits. "We have always had a very flexible position (on this issue)," said Novak, adding that the oil-producing countries could introduce limits on production lasting around half a year. The OPEC member countries will conclude the final agreement on the freeze during the official OPEC meeting on Nov. 30. Even before the tentative agreement was announced, Russia was openly lobbying for a freeze in oil production. On Sept. 5, during the G20 Summit in China, it was announced that Russia and Saudi Arabia had reached an agreement to support stability on the oil market and guarantee a sustainable level of investment in the long term. The statement was signed by Novak and Saudi Minister of Energy, Industry and Mineral Resources Khalid A. Al-Falih. Immediately after the OPEC decision, prices on Brent Crude soared by six percent. Artem Kalinin, portfolio manager at Leon Family Office noted that the rise strengthened the currencies of oil producing countries. This increase in currency value also boosted world markets. On Sept. 29, the Japanese Nikkei index added 1.4 percent, the Chinese Shanghai Composite — 0.33 percent and Russia's MICEX rose by 1.2 percent. Oil and gas companies' shares listed on Wall Street added 4 percent, notes Vitaly Bagamanov, managing director of Ultima Bank. Most market players had given up hope that OPEC members could agree to anything, which is why the importance of the event cannot be underestimated, said Kalinin. For the first time in many meetings, Saudi Arabia — the chief opponent of capping production — decided to make concessions. At the same time, any celebration over the decision should be tempered, as oil prices will continue to rise only in the short term, cautioned Valery Nesterov, an analyst at Sberbank. Additionally, the effect of the "OPEC freeze" may be cancelled out by an increase in production volumes in other countries. Several non-OPEC member countries have set new records in production volumes recently. Artem Kalinin points out that in 2017, Kazakhstan is preparing to launch the biggest offshore oil field in the world, Kashaghan. OPEC's decision may generate "swings" on the market in which high and low oil prices will alternate. This situation could go on for several years, according to Valery Nesterov. "The market is not capable of maintaining a good price of $60-70 per barrel," he said. U.S. shale producers hold the trump card in the market today. Over the last three years, they have managed to reduce the average cost of shale oil 1,5-2 times. "As a result, any price growth higher than $50 per barrel will lead to an increase of drilling in the US and the renewal of shale production growth. And the price will again fall," Nesterov said. Therefore, we should not expect a radical change in the situation on the oil market, in particular the substantial reduction of production. Oil demand is stably growing and spurring producers to increase their volumes, says Artem Kalinin. Wiktor Bielski, global head of commodities research at VTB Capital, takes a similar view. "Oil demand growth has been boosted by low prices. We think demand growth will remain positive but modest, boosted by China and emerging markets with the U.S. and Europe relatively flat," he said.